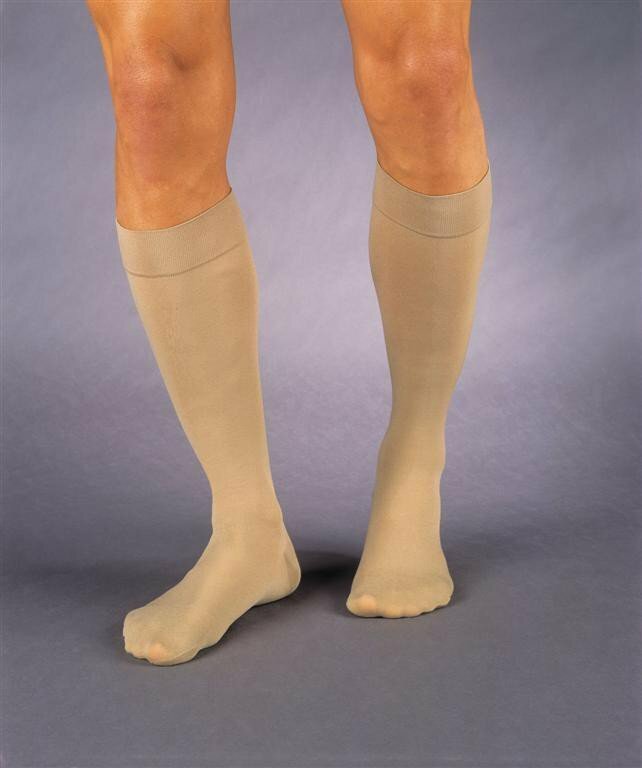 Jobst Relief Knee High Unisex Compression Socks CLOSED TOE 20-30 mmHg are great stockings for compression therapy. 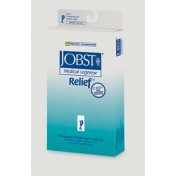 Relief by Jobst provides great quality with a closed toe design. The extra fabric on the heel on these Knee High Compression Socks CLOSED TOE 20-30, available for men and women, gives you enhanced durability. Jobst Knee High Compression Socks help hide scarring, skin blemishes, spider veins, and treat lymphedema. Knee High Compression Socks 20-30 can be dryed and machine washed, and are manufactured for people with DVT and CVI. I shopped around both locally and on line for a discounted price on compression hose as they are quite expensive. To my great surprise Vitality Medical outdid them all. Super discounted price and fast shipping for the very same product that was much higher elsewhere, Vitality Medical YOU Rock !!! I purchased this product from you on 10/8/13 for $26.94 each. You sent an email offering me a 5% discount if I complete your survey and then up pops an offer to sell the same product to me for $32.27, a 20% increase. You have got to be kidding if you think I will buy from you ever again. Sorry I gave a positive review in the survey. You should be ashamed of yourself!